We’re a few days into February already, so I figure it’s time to talk about goals. 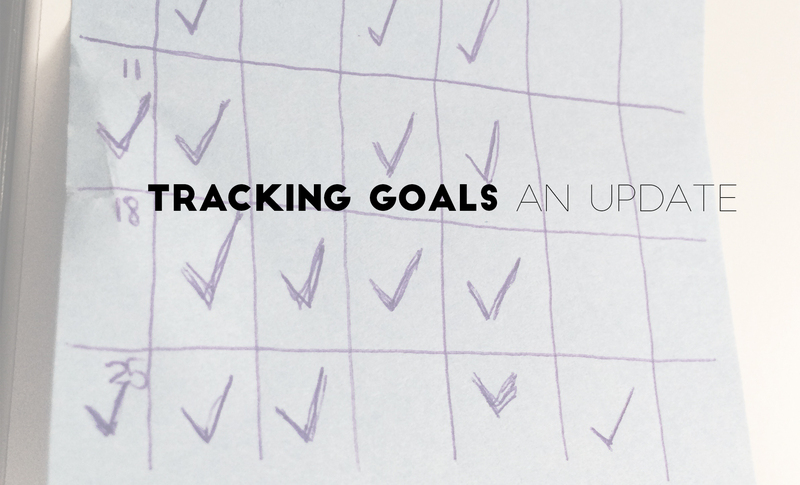 This year I’ve decided to have a few big goals + a monthly, compounding goal (read more about it here). I’m looking forward to continuing my workouts in February and throughout the rest of the year. February is going to be tough because I’m going on vacation (and we all know how exercising on vacation goes, but I’m going to do my best). Last year one of my goals was to drink 6 jars of water every day. This was really hard. Really hard. I felt like all I did was drink water. So this time, I’ve reduced the number of jars to 4. Still currently working my way through my gigantic Diana Gabaldon book. Still loving it, but it’s just so large. I think my month goal for March will be to read for a set amount of time every day. That should help. If you have any thoughts on what book I should read next, let me know! I’m thinking it’s going to be #girlboss by Sophia Amoruso. This is going well! After changing my parameters a bit, I’m super excited to keep going. I can’t wait to work on + share design three with you (it’s coming Saturday). This is happening, slowly but surely. We blew most of our social media goals out of the water for January, so hopefully we can keep up the momentum. I’ve started with chin-ups (palms facing inward) because I’ve been told they are easier. I’ve noticed some improvement! I cannot do a full one yet, but I’m definitely a little bit closer. I’m confident that I’ll be able to do a full one at least in the next few months. This has been going wonderfully. Between the design 2 + code 1 project and 12 topics, most of my posts have a specified topic. Half of my trouble with being consistent before was that I would leave my posts to the last minute, and then become unsure of what to write about. This time, I’m not able to leave my posts to the last minute + I know what they will be about. It’s great. And that’s it for my goals update. 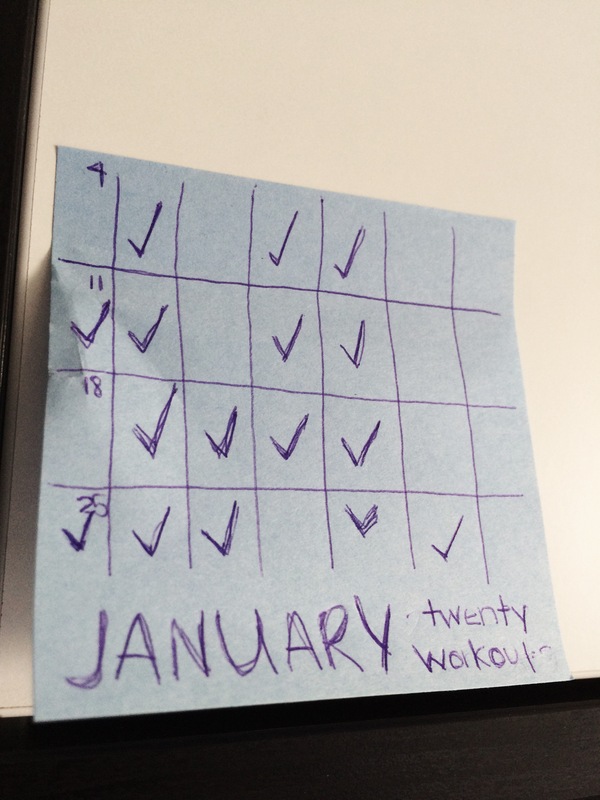 I’m tracking my monthly goals on little sticky note calendars on my desk. Each goal has it’s own sticky note, and each new month, a empty calendar sticky goes on top of the old one for each goal. By the end of the year, I can imagine myself having a row of 12 sticky notes stuck across my shelf (one for each month). The January pile will be 12 notes deep and December will be singular. This sounds intense, but also kind of exciting. I love the fact that all the goals are in my face. It makes them much harder to forget. And being able to make that checkmark on my little calendar is more motivation to complete the goal than you might imagine.